The Takács Quartet is in town, performing on the Modlin Center concert series Friday evening (April 12th) at 7:30 p.m. in Camp Concert Hall. It was a pleasure to host them on a visit to WCVE Music, where they performed live on the air and talked with me about the history of the esteemed ensemble. 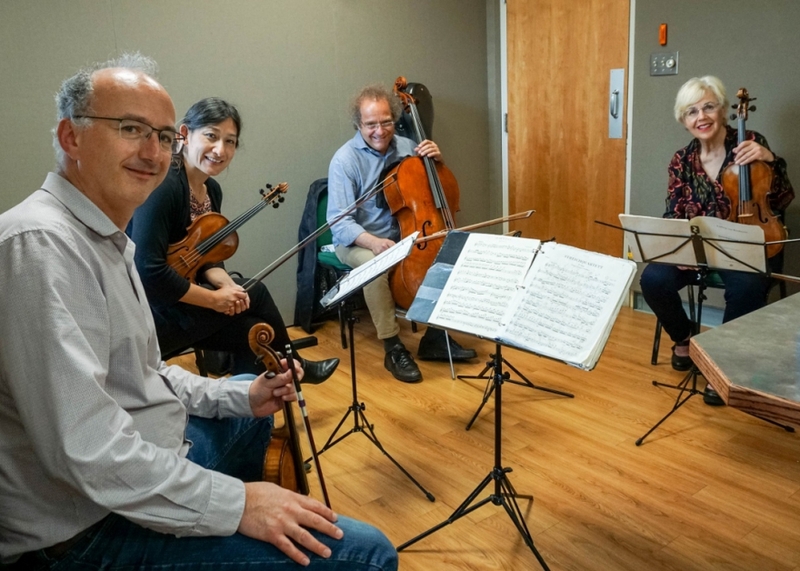 Listen in to my chat with violinists Edward Dusinberre and Harumi Rhodes, who were joined by their colleagues violist Geraldine Walther and cellist András Fejér to perform the first movment of Ludwig van Beethoven's String Quartet in F Major, Op. 135. That work is on the program Friday evening, along with quartets by Franz Joseph Haydn and Edvard Grieg.